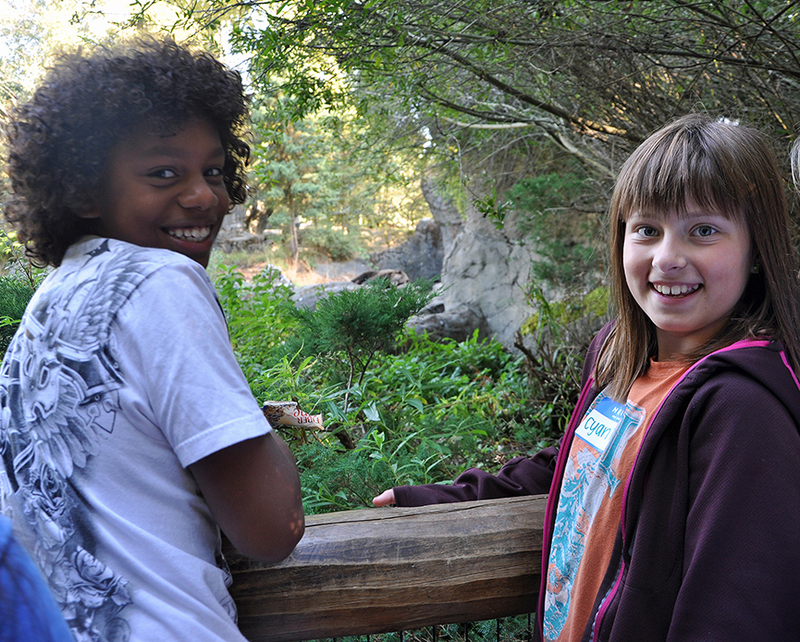 Wild Wise: Coexisting with Carnivores (the middle school program). Our Community, Our Carnivores (the community-based program). Wild Wise: Coexisting with Carnivores (WW:CWC), a partnership between Woodland Park Zoo and Issaquah School District, offers middle school students a chance to develop science inquiry, civic literacy and leadership skills as they investigate and share solutions for living with the carnivores in their communities. Through studying carnivore activity across the landscape, students will gain a better understanding of the roles humans play in creating and affecting landscape patterns and processes, including impacts to carnivore distribution and behavior. How are carnivores using the natural and human-made resources in our community to meet their needs? During this program, students practice strategies for developing investigative research questions, planning and carrying out investigations, analyzing and interpreting data and constructing scientific explanations. In the first class session, classes create a map of carnivore sightings in their community. These maps remain up in classrooms throughout the project and additional sightings are added over the next six months. Students use the map to begin exploring spatial patterns and possible connections between human-made and natural landscape features and carnivore activity. Students interview an adult in their household to learn more about the experiences of people who live in an area with large carnivores, such as bears, coyotes and cougars. During the award-winning Wild Wise multimedia presentation with zoo staff, students learn about the wildland–urban interface, human-carnivore interactions across the landscape, and methods for researching mammalian carnivores. Zoo staff also review the essential questions that will drive the students’ scientific investigations. During the Pacific Northwest Carnivores Program, students tour the Northern Trail and learn about the life history of carnivores found in the Pacific Northwest, including grizzly bears, black bears and gray wolves. 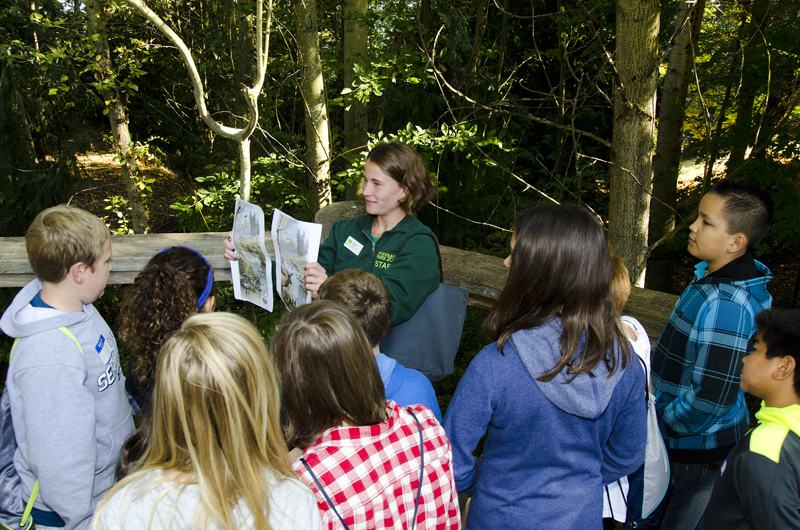 Students also learn about conservation topics relevant to the carnivores in their communities. Drawing upon their community carnivore maps, interviews and zoo visit experiences, each class develops a comparative investigative question and prediction related to carnivore use of the surrounding landscape. Each research question contributes findings to help answer overarching questions about urgent human-carnivore interaction issues facing their communities. Students begin to develop research methods for their project. Zoo staff works with each class to familiarize them with data collection tools and techniques that can be used to answer their research questions, such as mapping available data, interviewing community members, remote camera trapping and web-based surveys. Classes will finalize their research methods and consider how to control for confounding factors in their study design. Western Wildlife Outreach (WWO) is a local non-profit that works on sharing accurate information about large carnivores in our area and how we can coexist with them. Through a presentation and use of biofacts such as pelts and skulls, students gain further information on bear research and methods for coexistence within their community. Students will have the opportunity to ask WWO staff questions that are specific to their classroom investigations, information on carnivores and strategies to engage community members. Under the guidance of their science teachers and using equipment on loan from the zoo, students collect data to answer their research questions. Students analyze and discuss their data, and interpret the results and draw conclusions. If students have collected camera trap data, the data are uploaded to the international wildlife camera photo database, eMammal. Based on their findings, students identify the most important messages and actions they want to share with their communities to foster peaceful coexistence between humans and large carnivores. Students develop an informative and visually compelling communication tool to inform their peers and community members about their research process, including evidence-based recommendations for coexisting with carnivores. Each student group presents their research findings as well as their evidence-based recommendations for coexisting with the carnivores in their communities. 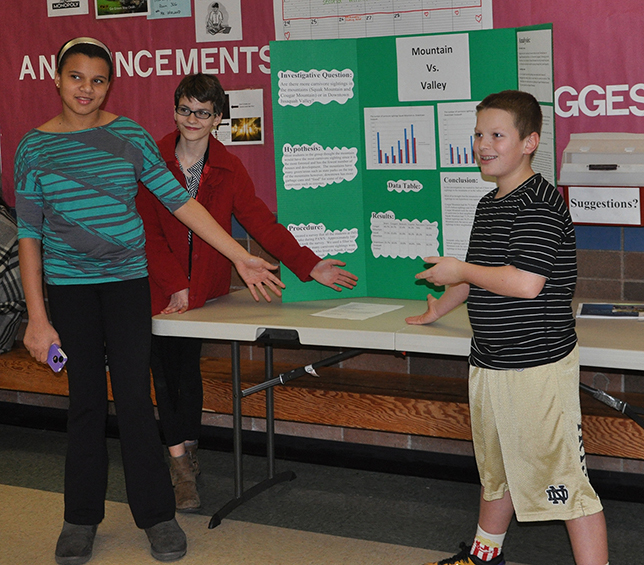 Students share an oral presentation and their communication tool with other classes and WPZ staff. 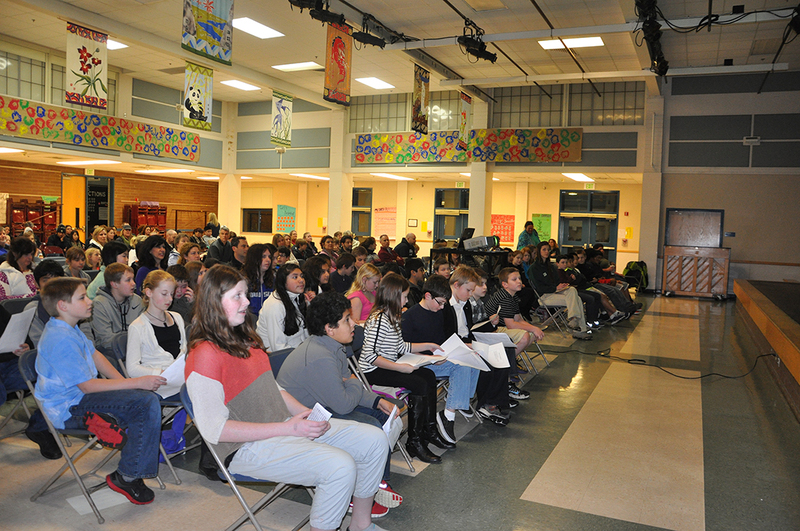 One to two groups from each school are selected to present their projects at an evening community gathering to increase awareness about carnivores in the region and strategies for peaceful coexistence. Community members from the Issaquah area are invited to attend! Please email wild.wise@zoo.org for information on the event, which happens each year in early June. 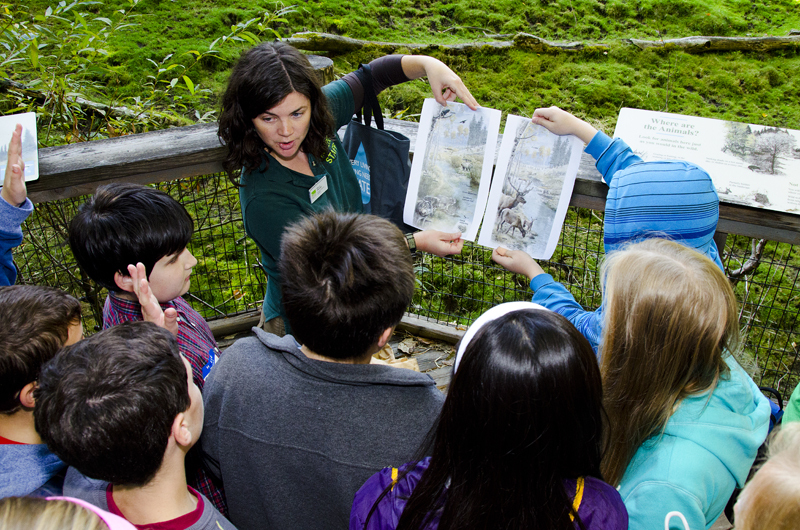 Each student receives four zoo passes and information about the zoo’s Bear Affair: Living Northwest Conservation Day, held every year in early June, to encourage them to attend with their families and friends. Evaluations of the WW:CWC program outcomes show that the students’ awareness of ways to prevent conflict with carnivores changed significantly over the course of their participation. The actions in the right-hand column are things we can all do to share our habitat with native carnivores in our state! I would run as fast as I can. Not walking or going around where they most likely are. Have bear safe trash cans. Not go close and try to touch them. Don’t throw rocks or things at them. Stay out of the woods. Not live by the woods. Live in a place where there aren’t many animals. Bring the trash bin out on the right day. Throwing dangerous objects at them to keep them away. Have your dumpster fenced in, and closed. Don’t put your garbage out until the morning of trash pick-up. Don’t have smelling food where there are carnivores. Hang bird feeders up in the winter. Don’t have dog food outside of the house. Get a bear safe garbage can. Don’t leave food or garbage outside. Travel on trails during daylight. You can keep your house area clean. WPZ and the City of Issaquah co-facilitate this community engagement program in proactive consideration of human-wildlife interactions, focusing on community-developed strategies to prevent human-wildlife conflict in the region and foster a sense of pride for local wildlife. In February 2018, residents of Issaquah were sent a survey asking their views on the carnivores that share their neighborhoods and parks, including bears, bobcats, coyotes, cougars, and raccoons. Issaquah community members have a remarkably positive view of the carnivores that live alongside them, with most residents responding that they are proud to live in a community that includes local carnivores. Yet concerns about safety still exist, especially from people with small pets and children. Look out for a similar survey at the end of the Coexisting with Carnivores program (summer 2020), to measure how community members’ attitudes have changed after three years of carnivore outreach. WPZ and partners hosted two open house events launching the Coexisting with Carnivores community program in Issaquah in May 2018. 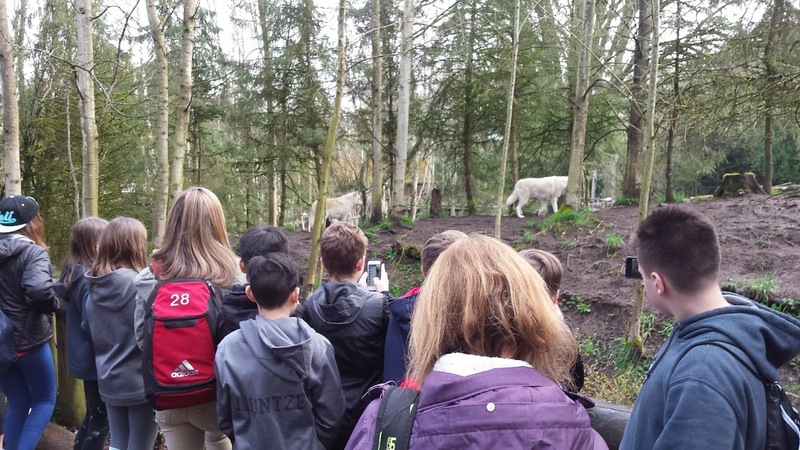 Guests had the opportunity to learn about local carnivores and where they are found, and express their thoughts and concerns about living alongside wildlife. 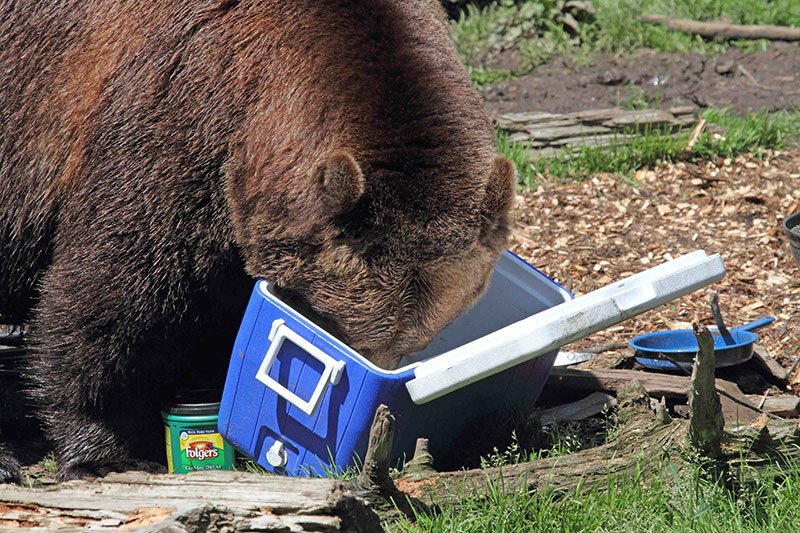 Each year, Issaquah residents are invited to WPZ’s Bear Affair: Living Northwest Conservation Day event, which happens every year on a Saturday in early June. A limited number of free passes to attend Bear Affair are distributed to Issaquah residents each year. The City of Issaquah and Woodland Park Zoo collaborate to produce educational materials about local carnivores and tips for coexisting peacefully with these amazing animals. Look out for these materials on the City of Issaquah website. To engage community members directly in learning about carnivores in their community, teams of volunteers will work with City of Issaquah Parks and Recreation staff to conduct wildlife camera trapping for carnivores in local parks as part of the Issaquah Parks Carnivore Project. Like the photos collected by middle school students, wildlife camera trap photos will be uploaded to the international wildlife camera photo database, eMammal. Carnivore Coexistence Action Teams (CCATs), consisting of Issaquah community members who want to foster peaceful coexistence with carnivores in their neighborhoods, use collaborative problem solving to make coexistence easier and teach their friends and neighbors how to prevent conflicts with carnivores. At meetings and events facilitated by the City of Issaquah and WPZ, Carnivore Coexistence Action Teams develop materials and implement action strategies to promote peaceful coexistence and prevent wildlife conflicts. If you are interested in learning more about the Coexisting with Carnivores community program or joining a Carnivore Coexistence Action Team, please send an email to Issaquahcarnivores@zoo.org. This project was made possible in part by the Institute of Museum and Library Services MA-20-17-0480-17. Este proyecto ha sido posible en parte por el Instituto de Servicios de Museos y Bibliotecas, MA-20-17-0480-17. 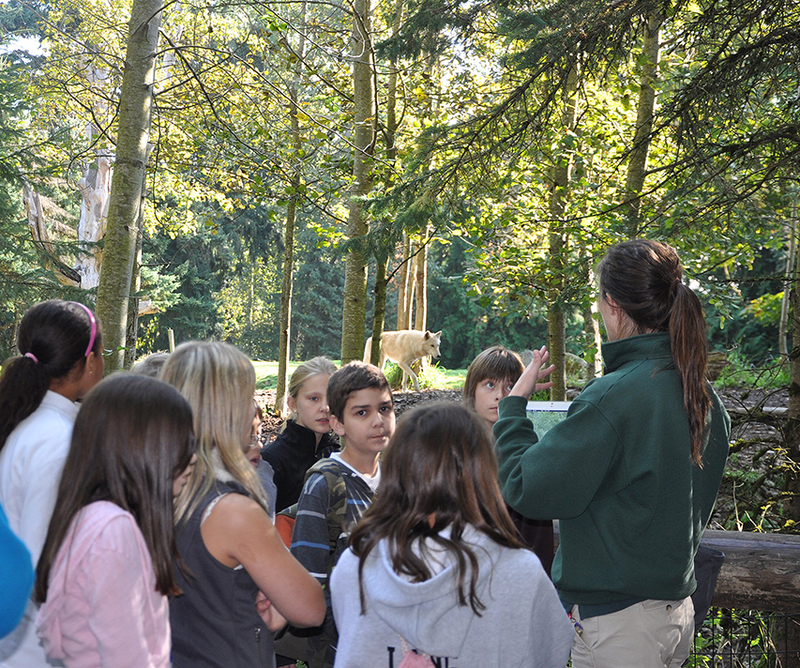 The Wild Wise: Coexisting With Carnivores school program, presented by Carter Subaru, has been supported by the Issaquah Schools Foundation, Tulalip Tribes, Horizons Foundation, Ferguson Foundation and the Association of Zoos & Aquariums Conservation Grants Fund.